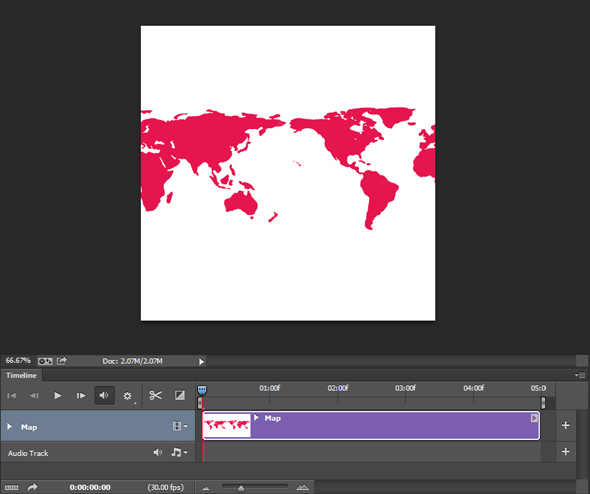 Photoshop allows you to create custom animations. It also allows you to create Smart Objects and Smart Filters. Better yet, it even allows you to combine Smart Filters with animation. In this tutorial, I’ll demonstrate a few tricks and techniques to create a custom animation using Smart Objects and Smart Filters. The animation below demonstrates the technique we’ll be using. The first step is to set up a simple animation. 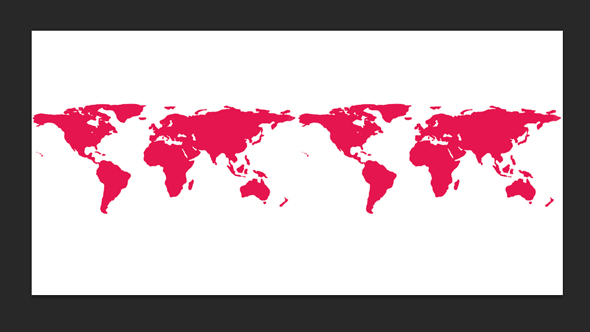 To make this simple animation, I’m going to use this doubled up illustration of a map of the world. Next, crop the image down to a square canvas. Make sure Delete Cropped Pixels is unchecked (we need those extra pixels to animate). 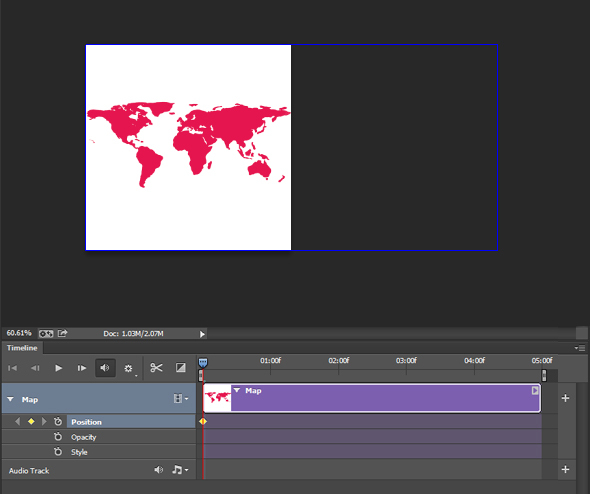 Open the Timeline Panel (Window > Timeline) and click on Create Video Timeline. Your timeline should now be visible. 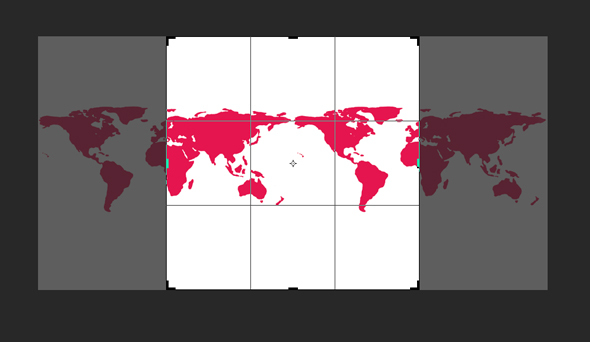 Using the timeline, create a keyframe for the Position property on the Map Layer. Make sure the map is moved all the way to the right. 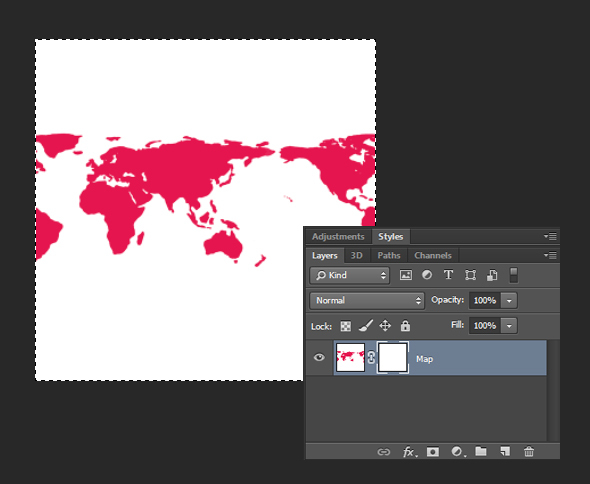 TIP: View > Show > Layer Edges will allow you to see the boundaries of a layer, even when it’s off the canvas. 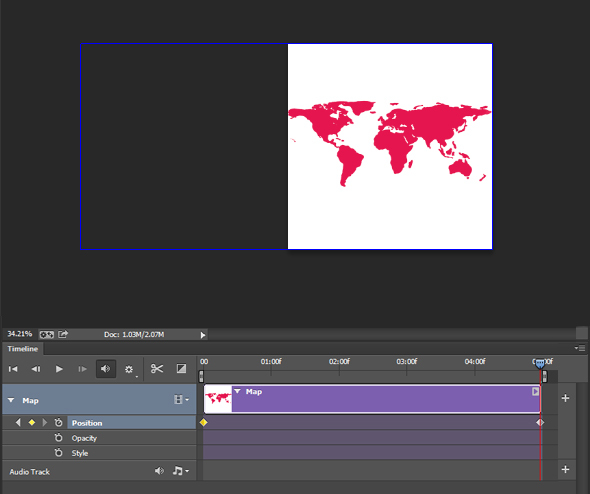 Create another keyframe at the end of the timeline with the map moved all the way to the left. Go ahead and press play to test the simple animation. You may need to adjust the animation slightly so it appears to loop seamlessly. The next step is to turn this animation into a Smart Object. 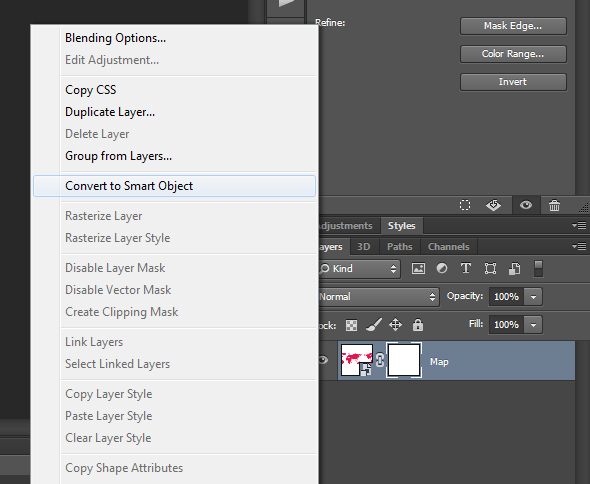 Right-click the layer and select Convert To Smart Object. Our animation is now packaged into a Smart Object, allowing us to make more complicated manipulations to it. Let’s continue. 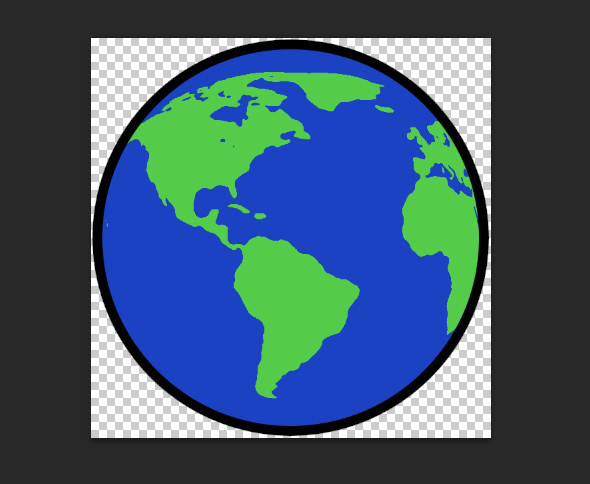 Now that our layer is a Smart Object, let’s see if we can make our map look more like a globe. 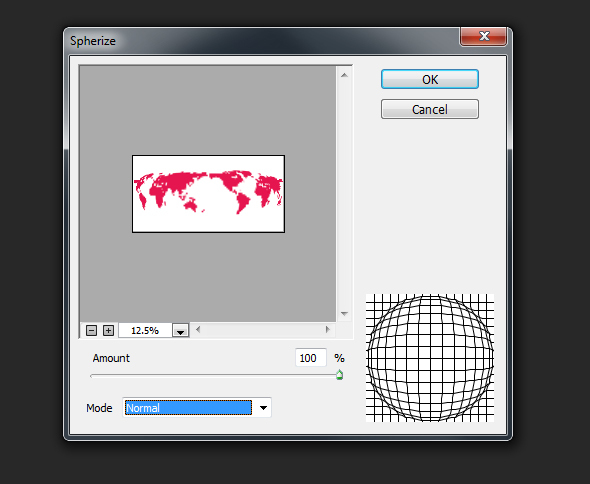 Go to Filter > Spherize. TIP: Since we are applying a filter to a Smart Object, it automatically becomes a Smart Filter. 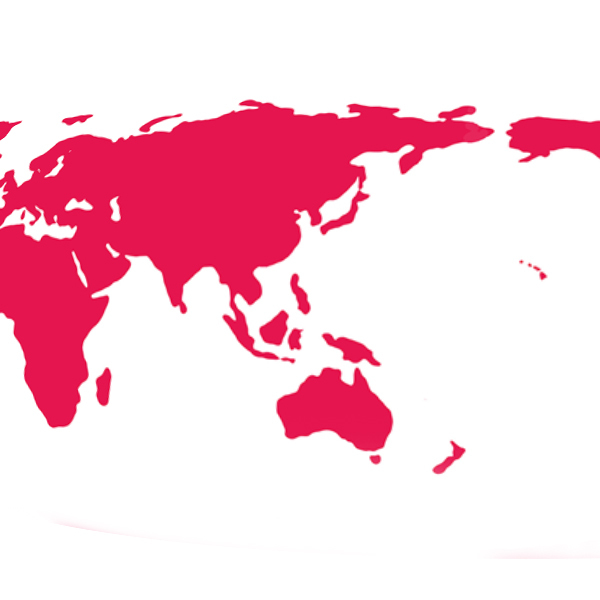 You may have noticed that the filter is being applied to the entire map, even to the areas that are outside of our canvas. That is because Photoshop is applying the filter with respect to the layer, not the canvas. These are not the results we want. Go ahead and Undo the Filter. In order to resolve this, we just need to do two steps. The first step is to create a layer mask to isolate the area we want the filter to affect (in this case, we’ll make it the size of the canvas). 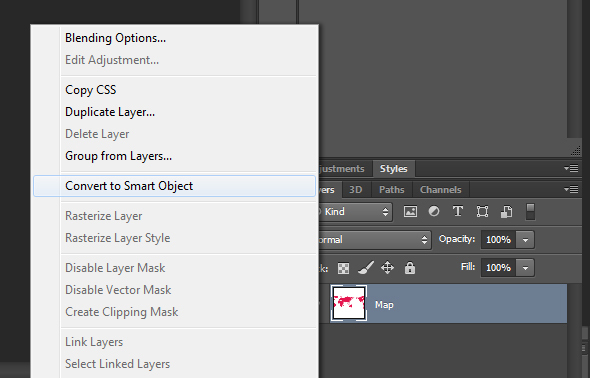 The second step is to convert this layer into another Smart Object. That’s right, we are nesting Smart Objects. This will help us trick the filter into not detecting the other pixels. 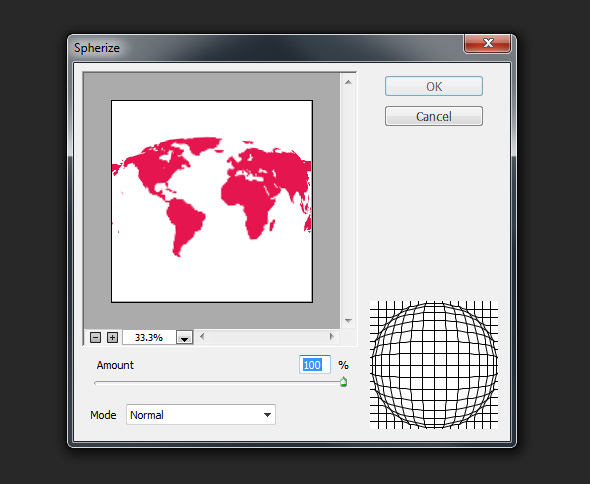 Let’s go ahead and add the Spherize filter to see how it works this time. Now we can see that it’s being applied as a perfect circle. Let’s add the filter one more time to enhance the effect. TIP: Smart Filters can be added multiple times to the same Smart Object. 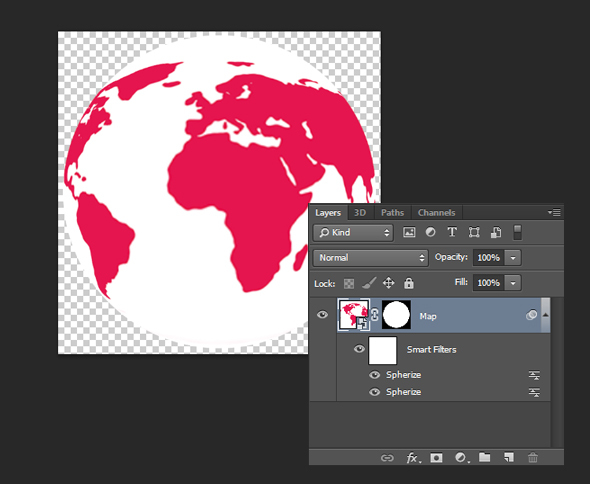 Now that we have our desired effect, we can use the Elliptical Marquee Tool to select just the area that looks like a globe and create a mask to hide the other pixels. You can take this image further by adding color. 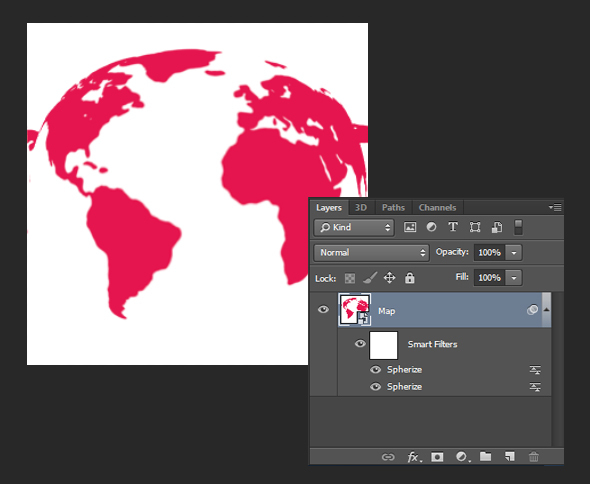 I found that using the Gradient Map Adjustment Layer does the trick. Also, since the smart object acts as any other layer, I was able to extend the canvas, add a background layer, and add some extra shadows and highlight (as clipping layers) to produce this final animation. This entry was posted in Animation, Tutorials and tagged Animation, Photoshop, Smart Filters, Smart Objects, Technique, Tutorial. Bookmark the permalink.